Lisa holds a PhD in Human Resource Management and Organisational Behaviour from the University of Greenwich. She wrote her PhD thesis on "Industrial Policy, Skill Formation, and Job Quality in the Danish, German and English Offshore Wind Turbine Industries". She holds a M.A. in Political Sciences from the University of Geneva, Switzerland. Before working in academia, she has been a HR practitioner in Recruitment and International Human Resource Management. She freelanced for several years as trainer in adult education. Prior to joining Middlesex University in September 2016, Lisa taught undergraduate students as a tutor in Employment Relations at the Queen Mary University of London, and in International Human Resource Management and International Employment Relations, as well as Managing Across Cultures at the University of Greenwich. At the University of Greenwich Work and Employment Research Unit she led a reading group for PhD students in HRM, Organisational Behaviour and Industrial Relations. 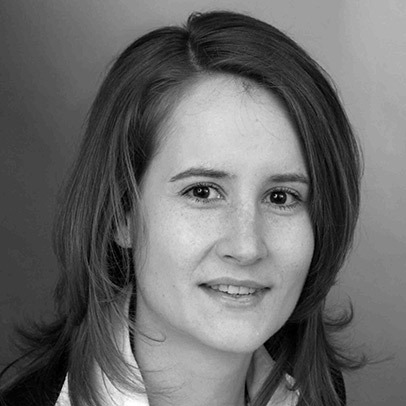 Over the past years she contributed to a Hans-Boeckler-Foundation funded research project on European Works Councils in the Service Sector (PI Professor Hans-Wolfgang Platzer, University of Fulda) and to the research project ‘Organization and Regulation of Employment Relations in Transnational Production and Supply Networks. Ensuring Core Labour Standards through International Framework Agreements?’ (PI Jörg Sydow, Freie Universität Berlin). Lisa Schulte. 2016. Manufacturing at the periphery: Directly employed and agency workers in theDanish and the German offshore wind turbine industry. Industry Studies Conference 2016, LERA 68th Annual Meeting, 26 May. Lisa Schulte. 2015. Building an industry for offshore wind farm equipment. Experiences in three European countries. Complex Assessment of Climate Change Impacts- Preparing International R&D Projects in the University of West Hungary, TÁMOP-4.2.2.D-15/1/KONV-2015-0023, Online Conference, 28 August. Lisa Schulte. 2015. Labour relations and training in Europe’s offshore wind sector. Three case studies. Presentation for Visiting Students from Leuphana Universität, University of Greenwich, 27 February. Lisa Schulte. 2014. Competitive pressures, employment relations, and skill formation in the offshore wind farm equipment production. PhD course ‘Contemporary Challenges to Industrial Relations, Europeanization, Capitalism(s) and the Implications for Welfare States and Employment Relations’, University of Aalborg, 29 September – 1 October. Lisa Schulte. 2014. Employment and training systems under pressure in the European renewable energy sector. Industry Studies Association Conference, Portland, Oregon, 27-29 May. Lisa Schulte. 2013. The wind energy sector – skill development initiatives in different institutional contexts. PhD Colloquium, University of Greenwich Business School. Greenwich, 27 February. Lisa Schulte. 2012. Romance or chimaera? Job creation by offshore wind. Industrial Relations in Europe Conference, Lisbon, 5-7 September. Karen Breidahl, Matthias Knuth, Flemming Larsen and Lisa Schulte. 2015. The marketization of employment services in UK, Germany and Denmark. Inherent dilemmas and trade offs. Council of European Studies Conference, Paris, 8-10 July; XVIII ISA World Congress of Sociology, Yokohama, 13-19 July 2014. Ian Greer, Katia Iankova, Lisa Schulte and Graham Symon. 2015. ”Creaming and parking” inmarketized welfare-to-work services: Evidence from Germany, the UK and France. Council of European Studies Conference, Paris, 8-10 July. Ian Greer, Katia Iankova, Graham Symon and Lisa Schulte. 2013. 'Marketization and misbehaviour in welfare-to-work services. Evidence from Germany, the UK, and France. Workshop on Politics of Markets, University of Westminster, London, 13 June. Ian Greer, Lisa Schulte and Graham Symon. 2015. Großbritannien: Vermarktlichung – ein Vehikel zur Privatisierung der Dienstleistungserbringung. Abschlussworkshop des Forschungsprojekts MESEC, Die Vermarktlichung von Arbeitsdienstleistungen im Europäischen Vergleich, Hans-Böckler-Stiftung, Düsseldorf, 23-24 April. Matthias Knuth and Lisa Schulte. 2014. Vermarktlichung von Dienstleistungen zur "Aktivierung" von Langzeitarbeitslosen – ein deutsch-britischer Vergleich. Initiative Social Science Service Research, München, 27-28 March. Graham Symon, Ian Greer, Lisa Schulte and Katia Iankova. 2015. “Creaming and parking“: Contracting and front-line-work in Germany, the UK and France. International Labour Process Conference, Athens, 13-15 April.